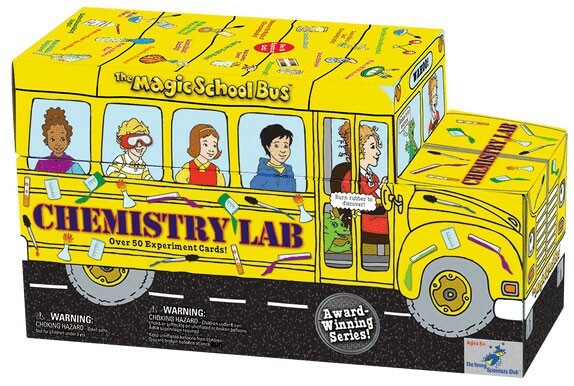 Ms. Frizzle and her students take Young Scientists on a wild ride with the Magic School Bus as they explore the field of chemistry. Young Scientists make sticky ice, use litmus paper, measure pH, perform chromatography, make bubble sculptures, wake-up fungus, create slime, form a bouncy ball, learn about density, produce a milk rainbow, plate copper, explode a volcano, and much, much more! 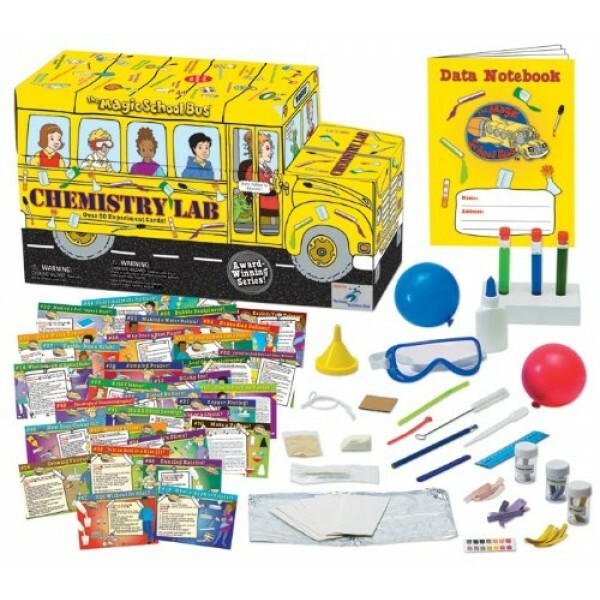 This exhilarating bus-shaped kit comes packed with science components, 51 colorful experiment cards and a data notebook to record observations. Seatbelts, everyone! Get ready to experiment with Chemistry Lab.